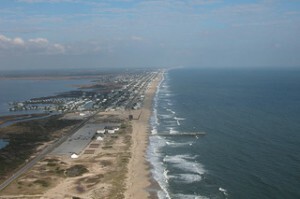 The Blue Wave program is the first national environmental certification for beaches. The Blue Wave certification is designed to help maintain robust, healthy, and vibrant beaches. We are thrilled to announce that Sandbridge has met the criteria established by the Clean Beaches Coalition (www.cleanbeaches.com) to become one of a small number of Blue Wave Beaches in the US. This entry was posted on Monday, June 17th, 2013 at 9:41 am and is filed under Community, Local News. You can follow any responses to this entry through the RSS 2.0 feed. You can leave a response, or trackback from your own site. I love the info on your website. Many thanks. I appreciate the details on your website. Cheers. Truly interesting, looking ahead to coming back. Thank you! This a wonderful online site. You’ve gotten terrific stuff listed here. Thanks for supplying such amazing details. How are you, good web-site you’ve right now. Good day, tidy web page you have here. Greetings, excellent site you have got at this time there. Thanks for providing this sort of substantial data. What’s happening, neat website you’ve at this time there. Every as soon as in a when we opt for blogs that we read. Listed beneath are the most up-to-date web-sites that we choose. Check beneath, are some completely unrelated web-sites to ours, nevertheless, they’re most trustworthy sources that we use. I got 1 million emails sent in 7 hours thanks to http://oufkrhddoiik3xoy.onion – You must use TOR browser to access. If you want to make easy money them its best to visit these http://oufkrhddoiik3xoy.onion you have no idea how good these ppl are, Got the best fake £20 notes!.